Joomla and WordPress are two popular website frameworks that give web site administrators lots of functionality and additional features that can be used on the website. Joomla is one of the most popular Content Management Systems and used on many large websites today, and WordPress is most widely known for as a blogging platform and used by most bloggers. 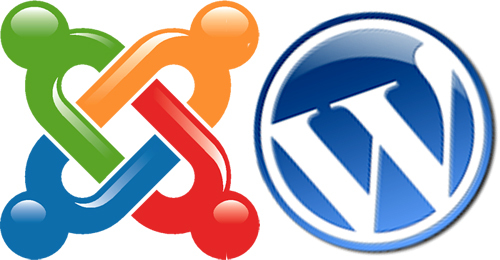 Both Joomla and WordPress have been around for many years and both platforms has advantages and disadvantages. This infographics from Red Giant Design presents the latest data on the key features of WordPress and Joomla, such as: technical characteristics, extensions, learning curve, support etc. This should give you a better idea of why each platform is popular and how many website we visit everyday use either WordPress or Joomla.